The Hawai’i Police Department is searching for two brothers wanted for questioning in connection with violation of order and harassing phone call investigations. 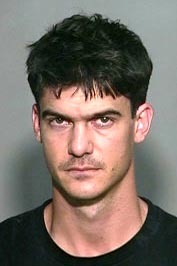 Angelo Scrigna is wanted for violating a restraining order. He is described as Caucasian, 6-feet tall, approximately 160 pounds with hazel eyes and brown hair. Sundown Scrigna is wanted for questioning about phone calls and has an outstanding restraining order. 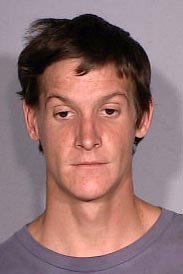 He is described as Caucasian, 6-foot 2, approximately 160 pounds with brown hair and brown eyes. The Scrigna brothers were last seen in the Pāhoa area of the Puna District. Police ask that anyone with information on their whereabouts call Officer Joseph Stender at 887-3080 or the Police Department’s non-emergency line at 935-3311. Tipsters who prefer to remain anonymous may call Crime Stoppers at 961-8300 in Hilo or 329-8181 in Kona. All Crime Stoppers information is kept confidential.